Bored with your apps, looking for something new? 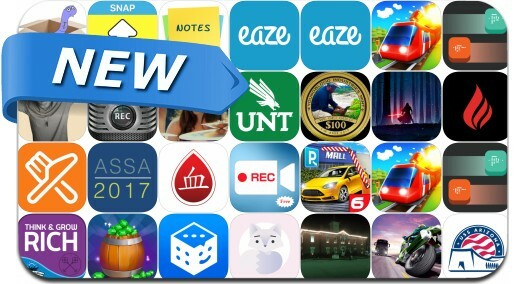 Check out these 25 iPhone and iPad apps that were just released. This new apps alert includes Conduct THIS!, Waiit, Cannonfire Concerto, Midnight Calling: Jeronimo, Chef Siblings: French Restaurant, Free Gems, DNCR, Full HD Video Recorder, Best Recorder and many others. Waiit is a beautiful minimalistic game about two squares travelling through a labyrinth. Swipe to move both squares simultaneously. Receive coins as you play to unlock new characters. Traffic Rider 2 : Update For New Levels Bike Race! Best Recorder - Touch Screen Brow for Record HD !